Mario Siragusa focuses on corporate and commercial matters and he specializes in EU and Italian competition law and complex commercial litigation. He appears frequently before the European Court of Justice, the General Court of the European Union, the Directorate General for Competition of the European Commission, as well as the Italian Antitrust Authority and Italian civil and administrative courts. He lectures regularly at conferences throughout the United States and Europe and has published numerous articles in U.S. and European legal journals. He is a professor at the College of Europe in Bruges and lectures at the Catholic University in Milan. Mr. Siragusa is recognized as a "star performer" in Competition / European Law by Chambers Europe and a leading professional in EU, Regulatory and Competition Law by The Legal 500 EMEA and Who's Who Legal. He is recognized as a leading lawyer in TMT: Telecommunications by Chambers Europe. In 2015 he was named Italian Energy Antitrust/Regulatory Lawyer of the Year by LegalCommunity. 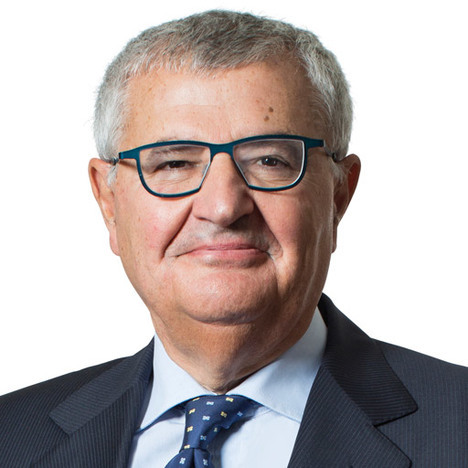 Mr. Siragusa joined the firm in 1973, became partner in 1980 and a senior counsel in 2018. He graduated with honors from the Law School of Rome University in 1970 and received a Diploma of High European Studies from the College of Europe, Bruges, in 1971. He received an LL.M. from Harvard Law School in 1972. Mr. Siragusa is a member of the Commission on Law and Practices Relating to Competition of the International Chamber of Commerce in Paris. He is a member of the Rome and Brussels Bar. He is a native Italian speaker and is fluent in English and French.